Have you ever wanted to go a play baseball with your old heroes or go play in a jamband with some old rockstars? No? Well, me either. Shipyard though has come up with something for those of us whose passion is beer. 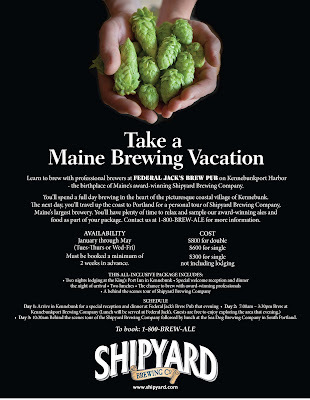 Shipyard is offering a Maine Brewing Vacation. 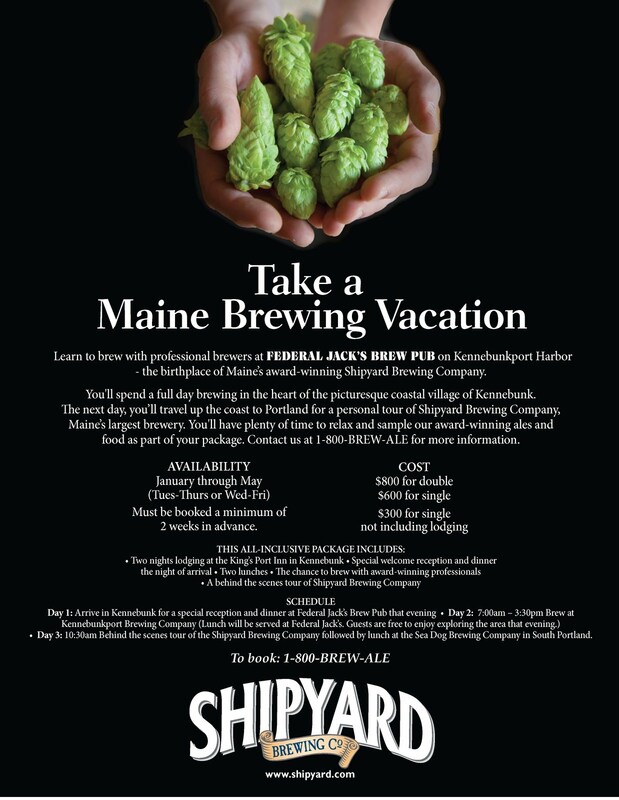 The vacation offers you the chance to actually brew a beer at Shipyard's brewpub in Kennebunk and get a behind the scenes tour of the full Shipyard brewery in Portland. Here is the full itinerary and pricing. Have you had a chance to try any of their brews yet?